Funding for councils is set to be cut by an extra £95m next year after the government miscalculated aspects of this year’s funding settlement. The Department for Communities & Local Government has informed councils it will have to hold back millions of pounds more of revenue support grant in order to plug a hole in this year’s settlement. The additional top-slice of local government funding is said to be necessary because the department significantly underestimated how much financial protection councils might need against fluctuations in business rate income. It held back £25m for the safety net in the first year of the business rate retention system, but LGC has learnt that it has had to pay out £69m to local authorities. 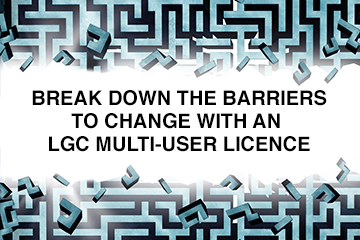 LGC understands that the bulk of these payments have gone to a small number of councils. The news that the department got its sums wrong comes less than a month after DCLG’s 2012-13 accounts were qualified by the National Audit Office because it had failed to keep track of spending and exceeded its net cash requirement. In a consultation document published on Thursday the department revealed that the “safety net” required to assist councils who experience falls in business rate income needs to be five times the original estimate. DCLG had intended to hold back just £25m in 2014-15 to fund the safety net, but now this is to be supplemented by an extra £95m, bringing the total safety net top-slice in 2014-15 to £120m. The document states that the £25m held back in 2013-14 “will not be sufficient to meet all the demands on the safety net”. As a result “the department will need to increase the amount of revenue support grant held back in 2014-15 to repay the cost of the additional demand on the safety net for 2013-14 and to have sufficient funding to meet safety net payments in 2014-15”. Any money which is not used in safety net payments will be returned to local authorities “in year in proportion to their 2013-14 start up funding assessment”, the document states. In 2015-16 the hold-back will be £50m, double the £25m a year originally envisaged when the business rate retention funding system was introduced. Given the magnitude of the additional top-slice, civil servants have suggested that an already announced £100m top-slice of revenue support grant to fund “capitalisation” – the use of capital receipts for revenue spending – could be diverted to help fill the gap. According to DCLG’s consultation document, if £50m of the capitalisation top-slice was used for the safety net payments the additional safety net hold-back in 2014-15 would need to be just £70m. The proposal to take a £95m top-slice has proved unpopular with local government finance directors. Newcastle City Council treasurer Paul Woods questioned whether the additional hold-back was necessary, arguing that DCLG’s safety net calculation was based on “prudent” business rate income estimates by councils which were likely to be exceeded. He also argued that the estimates of the cost of the safety net may have been influenced by councils factoring in the cost of refunding half of historic business rate appeals, for the years from 2005 until 2013 when central government had benefited from 100% of the rates. He suggested DCLG and Treasury should fund the safety net itself. Mr Woods said the hold-back of grant was effectively a cut, even though DCLG has said the amount will be returned to councils one way or another, because councils would set their budgets based on the information available. Mr Woods has also criticised the quality of DCLG’s consultation and called on the LGA to launch an alternative discussion with councils. A district treasurer who did not want to be named also expressed dismay at the government’s proposal, which was announced alongside details of how an average of 35% of councils’ New Homes Bonus income will be handed to local enterprise partnerships from 2015-16. “The general reaction is one of disappointment,” he said. “Things are getting quite tough on funding levels and none of this helps. The consultation document also details how a 10% cut in local government funding in 2015-16 will require a 24.2% cut to revenue support grant. Announced by the chancellor in last month’s spending round, the impact of the 10% cut is amplified for revenue support grant because it cannot be applied to councils’ business rate income after the government promised that 50% of all rate growth could be retained locally. DCLG said this would translate as a 17.5% reduction to the early intervention element of revenue support grant, although it also said local business rate income would reduce the cut to 8.5%. There is a serious danger that the ability of county councils to fund activity to support economic growth will be at risk as a result of the government’s proposal to pool New Homes Bonus. The LGA has issued a set of supplementary consultation questions on the government’s funding plans for the next two years. Whitehall officials are under pressure to rethink local government’s three-month old funding system amid accusations that it is “fundamentally flawed”. The leader of England’s largest council has called on the government’s financial watchdog to reopen its inquiry into the way local government funding has been cut. Councils forced to revamp their savings plans after early sight of their individual funding allocations revealed cuts as high as 16% in 2015-16. Technical finance consultations are rarely items of news that get people talking, but under the surface of the papers released by the Department for Communities & Local Government last Thursday are some significant announcements that mark a turning point in the way that local government is funded. Civil servants have been criticised for releasing “a ream of dense technical documents” on council funding at a time when many people are away on holiday. More than half a billion of “new” local government income unveiled in the spending round will be funded by cuts to council grants in 2015-16, it has emerged. A variation on a Piffles Humpty Dumpty moment of "words mean what I choose them to mean" - now it's figures that he chooses them to be what he wants!